This week’s media hyperventilation over the nomination of Paul Ryan for vice president was a reminder what the election is all about: It’s not about political direction, but about casting the heroes for the next four years of political drama. In many democracies, people accept the fact that politicians are essentially bureaucrats. That’s ok because policy making is complex and detailed. There are usually a few among them who are particularly good at explaining their platform and motivating people to go along. One of them is then elected leader and has a good chance to stay in that job as long as people are not overly disappointed with the outcome. But in America, we are not looking for just a leading politician. We are looking for a super-human, for someone who impresses us not with a political program, but with personality. We scrutinize not so much the candidate’s political legacy (which will be suitably redefined to meet the political trend du jour anyway) but his or her private life for any shred of greatness or scandal. After all, we refuse to be governed but we are always good for some hero worshipping. The media is happy to oblige. 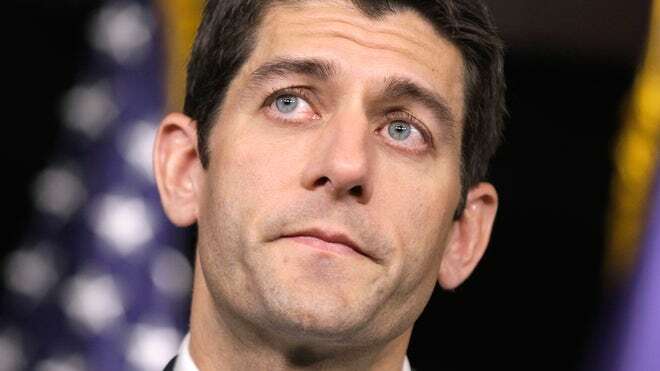 “Paul Ryan: Congressman, fitness nut, catfish noodler”, “Paul Ryan Pulls Catfish From Rivers by Their Throats”, “Paul Ryan … expert stock picker?”, “Ryan’s college years: A Delt who liked turtlenecks”, “Paul Ryan’s fashion sense” – just some of the week’s more sober headlines. And no, it’s not just the human interest sections, either. It’s in the political columns, with chief political correspondents eliciting intricate details of his catfish noodling technique from the candidate. Is there really anything serious that could be said in their defense? – Well, I thought so. So let’s do the only reasonable thing and have a good laugh about it. Update: I came across this essay by John Tirman who reviews, more thoughtfully, the hero effect in the 2008 presidential election. He ties it to the frontier myth that is also featured (unrelated, or maybe not) in my previous post and echoed in the image that I picked (quite randomly, or in hindsight maybe not) to illustrate my thoughts on the politics of drama.